A list of free and inexpensive family activities that your family can enjoy during the holiday season. *Originally published December 2015, but updated for the new holiday season! This year we’ve slowed down to focus more on spending quality time together. In fact, I’ve done the bulk of my Christmas shopping from my phone just to avoid wasting hours at the store. If you’re a regular reader, you probably noticed that I’ve cut back on the number of posts I published this month. As my kids get older, I realize how fleeting time is and I don’t want to simply “keep up”. I want to be fully present for my family without worrying about a packed schedule. Growing up, my mom always made a big deal about the holiday season and I try to do the same for my family. Our focus has always been on giving back, spending time together, and cherishing the true meaning of Christmas. 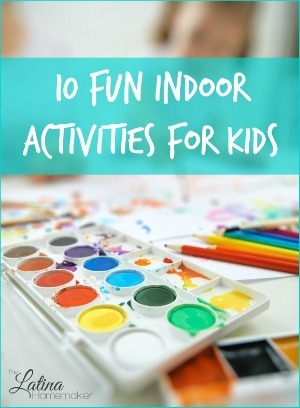 I wanted to share some of our favorite family activities that are either free or inexpensive. I truly believe you don’t have to spend a lot of money in order to enjoy the season and focus on what’s important. I hope these tips will encourage you to create new memories with your family and keep the focus on what matters most. Keep it simple, but fun. You can even make it a friendly competition and offer an inexpensive prize to the winner. This is also a great way to get out of the house and check out the lights in the neighborhood. 2. Drive around the neighborhood to see Christmas lights. This is a ton of fun for kids of all ages. Put on a radio station that plays Christmas music, pack up some goodies and enjoy the ride. I suggest doing this in the middle of December since some folks like to wait until later in the month to put up decorations. 3. Read Christmas stories and drink hot cocoa. This is a fun activity that truly doesn’t require any preparation nor money. Make your favorite hot chocolate recipe and pick out a book or two that your kids enjoy. To make it even more magical, do this while gathered around the Christmas tree. This is probably one of my favorite activities. It’s not about the treat itself, but about spending time with family in the kitchen. My kids love helping out and learning how to make our favorite holiday treats. I also love knowing that they’ll pass our favorite recipes down to their own children someday. 5. Give some of those treats to your neighbors. So you had a blast baking and decorating goodies with your kids. Now is a great time to pay it forward and treat your neighbors to some of your treats. It’s the thought that counts and I can assure you that your children’s “not so perfectly” decorated cookies will be well received. 6. Pop popcorn and watch your favorite holiday flicks. We do this all month long and it’s basically a tradition in our family. Nothing beats a tub of buttery popcorn with a holiday classic. Some of our family’s favorites include (affiliate links) Home Alone, A Christmas Story, Elf and Dr. Seuss’ How The Grinch Stole Christmas. December is also when Freeform (formerly known as ABC Family) plays Christmas movies all month long, so there is no need to purchase or rent any movies. Check out the full schedule here! 7. Make festive homemade pizzas. 8. Set up a hot cocoa bar. I love hot chocolate. It’s rare that I don’t have a cup each night throughout the winter season. My kids are pretty much the same way except they enjoy the toppings more than the hot cocoa itself. Instead of making your good old cup of hot chocolate, set up a hot cocoa bar that your kids will love. Put out a variety of fun toppings like mini marshmallows, chocolate chips, peppermint sticks, whipped cream and any other fun topping you have in the pantry. Need some more ideas? Check out this amazing hot chocolate bar created by Kevin & Amanda. Need a few cookie design ideas? 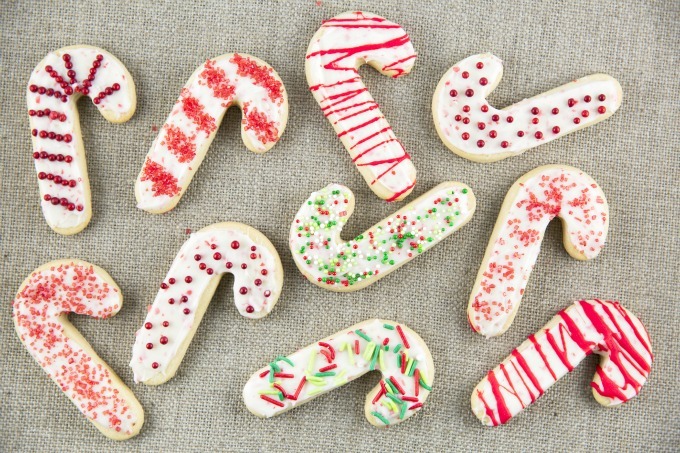 Check out this amazing round-up of 50+ Creative Christmas Cookies! 10. Build and decorate a gingerbread house. 12. Donate toys to a local charity or fill a shoebox for Operation Christmas Child. 13. Make Christmas cards for soldiers overseas. 14. Go to story time at your local library. 15. Play Christmas music while making holiday crafts. 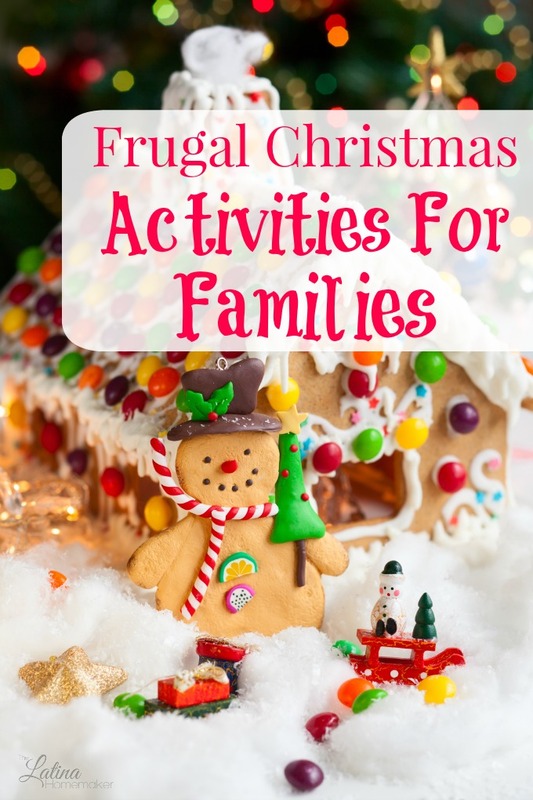 What are some of your favorite inexpensive Christmas activities? Feel free to comment and share! Click below for more ideas!